If you’ve considered buying a new Mercedes-Benz vehicle, but are concerned about keeping tight control of your budget, you may want to explore the benefits of a Certified Pre-owned Mercedes-Benz instead. CPO vehicles allow you to take advantage of fully transferrable factory warranty coverage with no mileage limits and zero out-of-pocket costs for covered repairs. You get a fully reconditioned vehicle with all the benefits, comfort, and prestige that come with the Mercedes-Benz name, for thousands less, without the concerns that normally accompany buying a used vehicle. Welcome to Mercedes-Benz of El Cajon, we proudly offer this beautiful 2018 Mercedes-Benz GLA 250 with the following options:March Special! !Original MSRP $43725.00Sale Price $37500.00New Price! Certified. Lunar 2018 Mercedes-Benz GLA GLA 250 4MATIC® 4MATIC® 7-Speed Automatic 2.0L I4 DI Turbocharged Alloy Wheels, Backup Camera, Bluetooth, Climate Package, Leather Seats, Premium Package, Sunroof/Moonroof, Android Auto, Apple CarPlay, Blind Spot Assist, HANDS-FREE ACCESS, Heated Front Seats, KEYLESS GO®, Panorama Sunroof, Premium Package, SIRIUSXM Satellite Radio, Smartphone Integration, Smartphone Integration (14U).Odometer is 1643 miles below market average! 23/31 City/Highway MPGMercedes-Benz Certified Pre-Owned Details:* Vehicle History* Warranty Deductible: $0* 165 Point Inspection* Includes Trip Interruption Reimbursement and 7 days/500 miles Exchange Privilege* Roadside Assistance* Transferable Warranty* Limited Warranty: 12 Month/Unlimited Mile beginning after new car warranty expires or from certified purchase dateAwards:* JD Power Initial Quality Study (IQS)We promise that you'll enjoy your experience with Mercedes-Benz of El Cajon. Whether you live 5 miles away or 500 miles away, you will receive a level of service never experienced before. If you live out of the area, we'll gladly pick you up at the San Diego International Airport or alternatively, buy in comfort and we'll deliver this vehicle to your doorstep.Welcome to Mercedes-Benz of El Cajon, we proudly offer this beautiful 2018 Mercedes-Benz GLA 250 with the following options:March Special! !Original MSRP $43725.00Sale Price $37500.00New Price! Certified. Lunar 2018 Mercedes-Benz GLA GLA 250 4MATIC® 4MATIC® 7-Speed Automatic 2.0L I4 DI Turbocharged Alloy Wheels, Backup Camera, Bluetooth, Climate Package, Leather Seats, Premium Package, Sunroof/Moonroof, Android Auto, Apple CarPlay, Blind Spot Assist, HANDS-FREE ACCESS, Heated Front Seats, KEYLESS GO®, Panorama Sunroof, Premium Package, SIRIUSXM Satellite Radio, Smartphone Integration, Smartphone Integration (14U).Odometer is 1643 miles below market average! 23/31 City/Highway MPGMercedes-Benz Certified Pre-Owned Details:* Vehicle History* Warranty Deductible: $0* 165 Point Inspection* Includes Trip Interruption Reimbursement and 7 days/500 miles Exchange Privilege* Roadside Assistance* Transferable Warranty* Limited Warranty: 12 Month/Unlimited Mile beginning after new car warranty expires or from certified purchase dateAwards:* JD Power Initial Quality Study (IQS)We promise that you'll enjoy your experience with Mercedes-Benz of El Cajon. Whether you live 5 miles away or 500 miles away, you will receive a level of service never experienced before. If you live out of the area, we'll gladly pick you up at the San Diego International Airport or alternatively, buy in comfort and we'll deliver this vehicle to your doorstep. Welcome to Mercedes-Benz of El Cajon, we proudly offer this beautiful and well equipped 2018 Mercedes-Benz GLC 300 with the following options:March Lease Special!! !$369.00 + Tax with only $3500 due at signing(36mo/10k miles per year)New Price! Certified. Black 2018 Mercedes-Benz GLC GLC 300 RWD 9-Speed Automatic 2.0L Turbocharged Alloy Wheels, Backup Camera, Bluetooth, Climate Package, Sunroof/Moonroof, 19 5-Spoke Wheels, Android Auto, Apple CarPlay, Black Fabric Headliner, Heated Front Seats, LED Headlamps, Panorama Roof, Smartphone Integration, Smartphone Integration Package.22/28 City/Highway MPGMercedes-Benz Certified Pre-Owned Details:* Limited Warranty: 12 Month/Unlimited Mile beginning after new car warranty expires or from certified purchase date* Transferable Warranty* Vehicle History* Warranty Deductible: $0* Includes Trip Interruption Reimbursement and 7 days/500 miles Exchange Privilege* 165 Point Inspection* Roadside AssistanceWe promise that you'll enjoy your experience with Mercedes-Benz of El Cajon. Whether you live 5 miles away or 500 miles away, you will receive a level of service never experienced before. If you live out of the area, we'll gladly pick you up at the San Diego International Airport or alternatively, buy in comfort and we'll deliver this vehicle to your doorstep.Welcome to Mercedes-Benz of El Cajon, we proudly offer this beautiful and well equipped 2018 Mercedes-Benz GLC 300 with the following options:March Lease Special!! !$369.00 + Tax with only $3500 due at signing(36mo/10k miles per year)New Price! Certified. Black 2018 Mercedes-Benz GLC GLC 300 RWD 9-Speed Automatic 2.0L Turbocharged Alloy Wheels, Backup Camera, Bluetooth, Climate Package, Sunroof/Moonroof, 19 5-Spoke Wheels, Android Auto, Apple CarPlay, Black Fabric Headliner, Heated Front Seats, LED Headlamps, Panorama Roof, Smartphone Integration, Smartphone Integration Package.22/28 City/Highway MPGMercedes-Benz Certified Pre-Owned Details:* Limited Warranty: 12 Month/Unlimited Mile beginning after new car warranty expires or from certified purchase date* Transferable Warranty* Vehicle History* Warranty Deductible: $0* Includes Trip Interruption Reimbursement and 7 days/500 miles Exchange Privilege* 165 Point Inspection* Roadside AssistanceWe promise that you'll enjoy your experience with Mercedes-Benz of El Cajon. Whether you live 5 miles away or 500 miles away, you will receive a level of service never experienced before. If you live out of the area, we'll gladly pick you up at the San Diego International Airport or alternatively, buy in comfort and we'll deliver this vehicle to your doorstep. Welcome to Mercedes-Benz of El Cajon, we proudly offer this beautiful 2018 Mercedes-Benz GLC 300 with the following options:March Lease Special! !$369.00 + Tax with only $3500 due at signing!! (36mo/10k miles per year)Certified. Brilliant Blue 2018 Mercedes-Benz GLC GLC 300 RWD 9-Speed Automatic 2.0L Turbocharged **CARFAX ONE OWNER**, LOW, LOW MILES! !, Alloy Wheels, Backup Camera, Bluetooth, Leather Seats, Premium Package, 115V AC Power Outlet, Blind Spot Assist, KEYLESS GO®, Premium Package, SiriusXM Satellite Radio.Odometer is 549 miles below market average! 22/28 City/Highway MPGMercedes-Benz Certified Pre-Owned Details:* Vehicle History* Roadside Assistance* Warranty Deductible: $0* Includes Trip Interruption Reimbursement and 7 days/500 miles Exchange Privilege* Transferable Warranty* 165 Point Inspection* Limited Warranty: 12 Month/Unlimited Mile beginning after new car warranty expires or from certified purchase dateWe promise that you'll enjoy your experience with Mercedes-Benz of El Cajon. Whether you live 5 miles away or 500 miles away, you will receive a level of service never experienced before. If you live out of the area, we'll gladly pick you up at the San Diego International Airport or alternatively, buy in comfort and we'll deliver this vehicle to your doorstep.Welcome to Mercedes-Benz of El Cajon, we proudly offer this beautiful 2018 Mercedes-Benz GLC 300 with the following options:March Lease Special! !$369.00 + Tax with only $3500 due at signing!! (36mo/10k miles per year)Certified. Brilliant Blue 2018 Mercedes-Benz GLC GLC 300 RWD 9-Speed Automatic 2.0L Turbocharged **CARFAX ONE OWNER**, LOW, LOW MILES! !, Alloy Wheels, Backup Camera, Bluetooth, Leather Seats, Premium Package, 115V AC Power Outlet, Blind Spot Assist, KEYLESS GO®, Premium Package, SiriusXM Satellite Radio.Odometer is 549 miles below market average! 22/28 City/Highway MPGMercedes-Benz Certified Pre-Owned Details:* Vehicle History* Roadside Assistance* Warranty Deductible: $0* Includes Trip Interruption Reimbursement and 7 days/500 miles Exchange Privilege* Transferable Warranty* 165 Point Inspection* Limited Warranty: 12 Month/Unlimited Mile beginning after new car warranty expires or from certified purchase dateWe promise that you'll enjoy your experience with Mercedes-Benz of El Cajon. Whether you live 5 miles away or 500 miles away, you will receive a level of service never experienced before. If you live out of the area, we'll gladly pick you up at the San Diego International Airport or alternatively, buy in comfort and we'll deliver this vehicle to your doorstep. Welcome to Mercedes-Benz of El Cajon, we proudly offer this beautiful and fully loaded 2018 Mercedes-Benz C-Class C 300 with the following options:March Lease Special! !$359.00 + Tax with only $3500 due at signing(36mo/10k miles per year)Certified. Polar White 2018 Mercedes-Benz C-Class C 300 RWD 9-Speed Automatic 2.0L I4 Turbocharged Backup Camera, Bluetooth, Climate Package, Multimedia Package, Navigation System, Premium Package, Sunroof/Moonroof, Blind Spot Assist, COMAND Navigation, COMAND Single CD/DVD, Heated Front Seats, Illuminated Star, KEYLESS GO®, Multimedia Package, Navigation Map Updates Included for 3 Years, Navigation System, Porcelain Fabric Headliner, Premium Package, Rear Spoiler, SiriusXM Satellite Radio, Touchpad, Wheels: 18 Twin 5-Spoke.Odometer is 5091 miles below market average! 24/33 City/Highway MPGMercedes-Benz Certified Pre-Owned Details:* Roadside Assistance* Transferable Warranty* Includes Trip Interruption Reimbursement and 7 days/500 miles Exchange Privilege* Warranty Deductible: $0* 165 Point Inspection* Limited Warranty: 12 Month/Unlimited Mile beginning after new car warranty expires or from certified purchase date* Vehicle HistoryWe promise that you'll enjoy your experience with Mercedes-Benz of El Cajon. Whether you live 5 miles away or 500 miles away, you will receive a level of service never experienced before. If you live out of the area, we'll gladly pick you up at the San Diego International Airport or alternatively, buy in comfort and we'll deliver this vehicle to your doorstep.Welcome to Mercedes-Benz of El Cajon, we proudly offer this beautiful and fully loaded 2018 Mercedes-Benz C-Class C 300 with the following options:March Lease Special! !$359.00 + Tax with only $3500 due at signing(36mo/10k miles per year)Certified. Polar White 2018 Mercedes-Benz C-Class C 300 RWD 9-Speed Automatic 2.0L I4 Turbocharged Backup Camera, Bluetooth, Climate Package, Multimedia Package, Navigation System, Premium Package, Sunroof/Moonroof, Blind Spot Assist, COMAND Navigation, COMAND Single CD/DVD, Heated Front Seats, Illuminated Star, KEYLESS GO®, Multimedia Package, Navigation Map Updates Included for 3 Years, Navigation System, Porcelain Fabric Headliner, Premium Package, Rear Spoiler, SiriusXM Satellite Radio, Touchpad, Wheels: 18 Twin 5-Spoke.Odometer is 5091 miles below market average! 24/33 City/Highway MPGMercedes-Benz Certified Pre-Owned Details:* Roadside Assistance* Transferable Warranty* Includes Trip Interruption Reimbursement and 7 days/500 miles Exchange Privilege* Warranty Deductible: $0* 165 Point Inspection* Limited Warranty: 12 Month/Unlimited Mile beginning after new car warranty expires or from certified purchase date* Vehicle HistoryWe promise that you'll enjoy your experience with Mercedes-Benz of El Cajon. Whether you live 5 miles away or 500 miles away, you will receive a level of service never experienced before. If you live out of the area, we'll gladly pick you up at the San Diego International Airport or alternatively, buy in comfort and we'll deliver this vehicle to your doorstep. Welcome to Mercedes-Benz of El Cajon, we proudly offer this beautiful 2018 Mercedes-Benz C-Class C 300 with the following options:March Lease Special! !$369.00 + Tax with only $3500 due at signing(36mo/10k miles per year)Certified. Brown 2018 Mercedes-Benz C-Class C 300 RWD 9-Speed Automatic 2.0L I4 Turbocharged LOW, LOW MILES! !, CLEAN VEHICLE HISTORY! !, Alloy Wheels, Backup Camera, Bluetooth, Climate Package, Leather Seats, Premium Package, Sunroof/Moonroof, Parking Assist Package, Android Auto, Apple CarPlay, Blind Spot Assist, KEYLESS GO®, Parking Assist Package, Parking Package, PARKTRONIC w/Active Parking Assist, Premium Package, SiriusXM Satellite Radio, Smartphone Integration, Smartphone Integration Package, Surround View System.24/33 City/Highway MPGMercedes-Benz Certified Pre-Owned Details:* Transferable Warranty* 165 Point Inspection* Warranty Deductible: $0* Roadside Assistance* Includes Trip Interruption Reimbursement and 7 days/500 miles Exchange Privilege* Vehicle History* Limited Warranty: 12 Month/Unlimited Mile beginning after new car warranty expires or from certified purchase dateWe promise that you'll enjoy your experience with Mercedes-Benz of El Cajon. Whether you live 5 miles away or 500 miles away, you will receive a level of service never experienced before. If you live out of the area, we'll gladly pick you up at the San Diego International Airport or alternatively, buy in comfort and we'll deliver this vehicle to your doorstep.Welcome to Mercedes-Benz of El Cajon, we proudly offer this beautiful 2018 Mercedes-Benz C-Class C 300 with the following options:March Lease Special! !$369.00 + Tax with only $3500 due at signing(36mo/10k miles per year)Certified. Brown 2018 Mercedes-Benz C-Class C 300 RWD 9-Speed Automatic 2.0L I4 Turbocharged LOW, LOW MILES! !, CLEAN VEHICLE HISTORY! !, Alloy Wheels, Backup Camera, Bluetooth, Climate Package, Leather Seats, Premium Package, Sunroof/Moonroof, Parking Assist Package, Android Auto, Apple CarPlay, Blind Spot Assist, KEYLESS GO®, Parking Assist Package, Parking Package, PARKTRONIC w/Active Parking Assist, Premium Package, SiriusXM Satellite Radio, Smartphone Integration, Smartphone Integration Package, Surround View System.24/33 City/Highway MPGMercedes-Benz Certified Pre-Owned Details:* Transferable Warranty* 165 Point Inspection* Warranty Deductible: $0* Roadside Assistance* Includes Trip Interruption Reimbursement and 7 days/500 miles Exchange Privilege* Vehicle History* Limited Warranty: 12 Month/Unlimited Mile beginning after new car warranty expires or from certified purchase dateWe promise that you'll enjoy your experience with Mercedes-Benz of El Cajon. Whether you live 5 miles away or 500 miles away, you will receive a level of service never experienced before. If you live out of the area, we'll gladly pick you up at the San Diego International Airport or alternatively, buy in comfort and we'll deliver this vehicle to your doorstep. 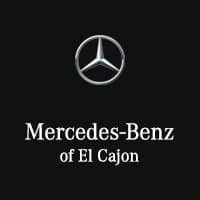 Why Mercedes-Benz of El Cajon? At Mercedes-Benz of El Cajon, you’ll have the tools and support you need to ensure that car care is the least stressful item on your agenda. Contact us today to learn more or to schedule a test drive of your favorite CPO vehicle.